More and more business are beginning to turn to cloud service solutions simply because the cloud not only gives your stored information an additional form of backup, but it also allows you to access your business anytime, anywhere. 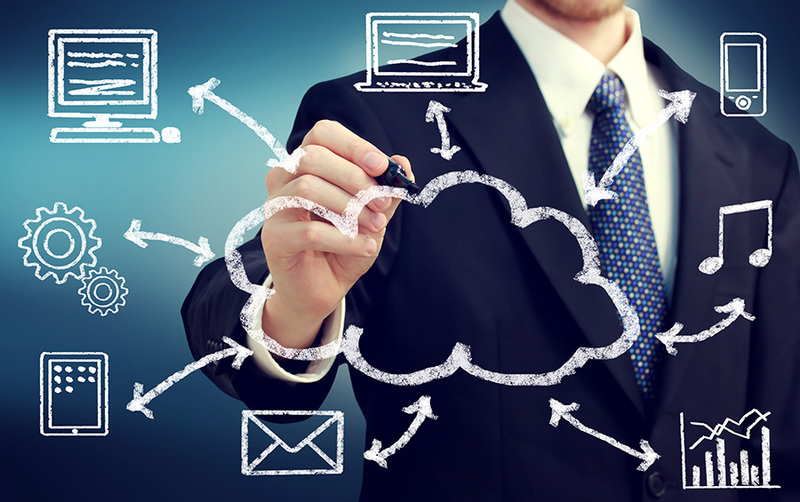 Cloud storage is available to any business as long as it has Internet access. We then install the cloud service for you. 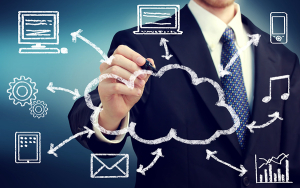 Utilizing the cloud is fast, easy and extremely user-friendly. With cloud storage, you always know where your important documents and files are stored so you can access them from any device or electronic medium. At RightfIT Network Solutions, we give you access to the same data hosting solutions utilized by Fortune 500 companies for your email, file storage and backup solutions. While all of your information is stored safely and securely in the cloud, you decide what information you do not want stored in that particular cloud space. RightfIT Network Solutions offers Hybrid Cloud solutions to give your business the flexibility to store some of its information in the cloud, while you keep the more sensitive data stored locally. Whether we supplement your IT department or become your IT department, you will save money while gaining access to the latest technology. You will never have to worry about investing time into researching hardware or software for your business. We make hardware and software recommendations to you that we feel will best fit your businesses needs. We also provide you with total solutions that keep your hardware and software up-to-date with the latest technology. RightfIT Network Solutions recognizes that each and every business is unique. Your business has unique qualities as a company, as well as unique IT needs. You may already have an IT department, or maybe you have no IT professional at all. There are so many factors that go into each company, which is why we create custom IT solutions for each and every business. Remove the stress associated with moving and changing your email, servers and systems, and other services, by utilizing our migration solution. We help make the process quick and easy for your business. Our customers experience very little downtime with our migration services, and most businesses are able to keep working through the entire process without experiencing any downtime at all. Hosting your own IT department can get costly, even if it is just one IT professional. With RightfIT, you get access to our whole team of business technology experts for a fraction of the cost. Sometimes things go wrong with IT, and a lot of times it seems to happen at the most inconvenient moments. RightfIT Network Solutions understands that your business cannot afford to waste precious time or resources on downtime. That is why we offer around-the-clock customer support for all your IT service needs. Cloud computing is one of the best ways to help ensure disaster recovery and business continuity in case of emergencies. It can be hard to predict when a virus will invade your servers or even when an office flood will happen. Storing your company’s information in the cloud will help you regain access to lost data and documents in case you ever need a backup. RightfIT Network Solutions helps you get back to business as usual.